This item is design by Green Creative to be part of their PL Edge Series Lamps. 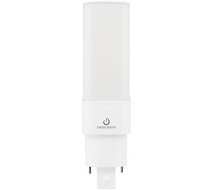 This product will provide 1020 lumens for light output from only 8.5 watts. It has a color temperature of 4000K and an input voltage of 120V-277V. Therefore it will be an excellent choice for any setting.